Martin Rukeyser, D.C., D.A.C.N.B., or ‘Doctor Marty’ to his patients, has been in practice since 1999. He is a kind and compassionate chiropractor with extensive experience treating children and adults. As a board certified chiropractic neurologist Dr. Marty combines traditional chiropractic care with nutritional support and Functional Neurological rehabilitation, targeting the cause of his patient’s problems and emphasizing true healing. Raised on Long Island, NY, Dr. Marty moved to Port Saint Lucie with his wife and two sons in 2004. They moved to the Treasure Coast from rural Mississippi where Dr. Marty practiced chiropractic in a medically under-served community. 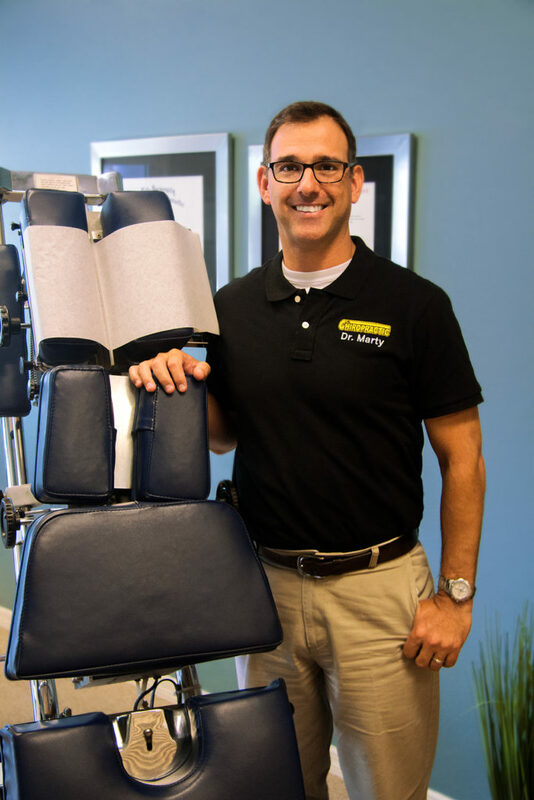 Dr. Marty graduated with honors from Life University Chiropractic College in 1999. Are you ready to feel better? I'm here to help!